In our last articles, we have discussed on preparing for a job in Hyderabad and important considerations while choosing a job in Hyderabad. Now, we will discuss on 10 important tips, which are very essential while preparing yourself for the task of finding a job in Hyderabad. Surprisingly, many job aspirants in Hyderabad don’t know how to get a decent job/perform at a workplace. Besides, many people get frustrated after attending many interviews and getting rejected. If you are one of them, these tips will help you avoid failures in your attempts to find a job by educating you on the right way to prepare yourself for the upcoming professional life (and, not just for interview). So, follow the below tips while finding a job in Hyderabad. People are clear on superficial things like salary, facilities, etc., but not on what type of job they want, like, I want an analytical job profile, a field job, etc. Just think, if all jobs have same salaries, then what job will you choose? Don’t give priority to superficial things. First, be clear about what type of job you need and know the job you will fit into – if you know these things it is easy to perform in the interview and on the job as well. Once you are clear on what you want to do, look for companies that offer the job you would like to do. Don’t assume that Hyderabad offers only IT jobs or some sales jobs, where you will be selling bank accounts, insurance policies, etc. There are several job opportunities in various industries in Hyderabad. 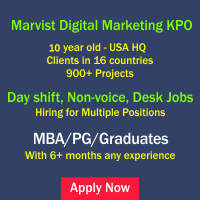 One of the solid career options Hyderabad offers is marketing. You will find many interesting job profiles in advertising, market research, Internet marketing, etc. – all part of marketing. Many good companies are desperately looking for good candidates in these fields. See if your educational qualifications and skills are matching these job profiles and apply. While learning, be open so that you learn everything accurately – this will help you in finding a good job. But if you ignore, your ignorance can make you liable to lose out on a lot of job opportunities. 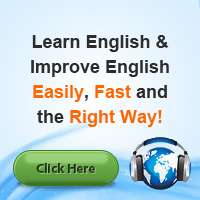 Keep reading your subject for couple of hours every day so that you can update your knowledge. This will give you confidence while attending interviews and will also be helpful while doing your job. Many people stop learning, once they get their requisite degree. They think that the company will take care of the rest of the training needed to do the job. Don’t expect the gravy train to run forever, instead act like a professional. It is better invest yourself in learning new skills, like learn computer basics, like using MS-office, Word, Excel, and browsing the Internet, etc. Remember there are lakhs of people like you in the market looking for jobs. These skills will give you an edge over them. Today many companies are focusing on an aptitude test, to shortlist the candidates in the initial rounds of interview. Aptitude is a test designed to know how well a candidate can perform a given task, hence, companies give high importance to this test. Therefore, every candidate should focus on building aptitudes like – English, Reasoning, Quantitative abilities, etc. Buy an aptitude book which will be available at your nearest bookstalls. If you don’t get it there go to Koti. Better go on Sunday, you will get used books at very cheap rates. Every decent job you apply involves some amount of typing on a computer. Many companies have typing test as mandatory. Generally, the cut-off for typing test in many companies is 25 to 30 words per minute. It takes only 30 to 45 days to get this speed (that too by spending only one hour a day). The training for this too is very affordable, with the course costing only about Rs.180 – Rs.250 for a month. Also, there are many typing software available for free download, which helps you learn typing sitting at home. Make sure that you maintain a typing speed of at least 30 words per minute, as many companies ask for a speed above 25. So it is better suggested to learn these basic skills, in order not to miss a good job opportunity. Moreover, having a good typing speed increases your productivity levels in the job. Many people coming to find a job in Hyderabad go to interviews in jeans, T-shirts, sneakers, grown beard and all, just to make themselves feel that they are in sync with city’s culture. Is this the way to attend interviews? Are you going for a fashion show or to a job interview? Avoid cool logic; college is very much different from a professional company. In college, it is cool to wear ornamental embellishments, but if you continue the same in an interview or while in a job, you will definitely lose good job opportunities. You have to be conservative and impress the interviewer with your calibre, virtues, attitude, knowledge, skills, etc. Don’t go to an interview or workplace wearing long ear rings/ear tops, bright coloured dresses, long shoes, etc., because it looks as if you are going to attend a party. So, wear light and decent colours as you are going to attend interview and not for attending the party – this shows your seriousness towards your job/career. Many people assume that preparing for interview and consequently a full-time job is easy. The transition phase from college to workplace, where you are in the job hunt is very crucial. You have to work very hard here as you will have to attend interviews, sometimes multiple interviews in different locations in the city. It also helps you in preparing yourself for a full-time job. Be ready with all your wits, like preparing an updated resume with decent e-mail id, register in the job sites like Naukri and Monster which sends you plenty of job profiles as per your qualifications and interests, and be prepared with well pressed dresses, polished shoes, etc., – you never know when you will be asked to attend the interview. It is worse to get a job and get fired from the job within few weeks. This generally happens with those who focus only on clearing the interview, not on performing on the job. You will lose confidence on yourself if you get into this. So don’t just try to clear the interview, better focus on long-term performance, be prepared mentally/physically for the working conditions. It is better to understand the job well and perform as per the company’s requirements. Sometimes people make mistake in identifying good companies. They generally assume that companies in big, fancy buildings are good. You need to remember that it is not the size or structure of the building that makes a good company; it is the culture, values and beliefs that differentiate an ordinary company with a good one. Beware of fake companies which come, grow quickly and vanish. In Hyderabad, there is no dearth of fake/ordinary companies. Areas like, Madhapur, Banjara Hills, etc., have equal number of good as well as worst companies, hence, don’t forget to study the standards of the company. You will never get a good working experience if you work for those companies. Make it a habit to read newspapers and go through the magazines. Doing this, you can know about various job opportunities as well as be updated with the current trends and changes in the industry. Having knowledge about the industry scenario you wish to get into, will be useful while attending interviews, as most of the companies give importance to understanding of impact that these trends may have on their company, that includes knowing the competitive landscape and target markets. This helps in impressing the recruiter and increase your chances of getting hired, as the company assumes you to be aware of opportunities and challenges that the company faces and know the methods which can make the company successful. These tips may look basic, but remember they are very effective in helping you find a decent job. All the best! Formal Business Attire – Why Employers Insist for Job Interviews? This entry was posted on Feb 2012 at 9:58 PM	and is filed under Jobs in Hyderabad > Latest > Hyderabad Jobs. You can follow any responses to this entry through the RSS 2.0 feed. Your Feedback Matters!